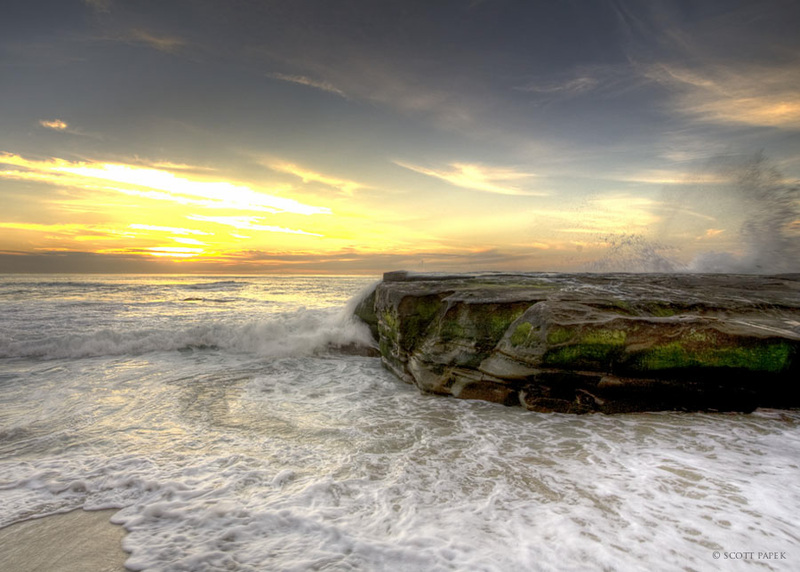 La Jolla offers the most beautiful beaches in California. What's amazing about this area is it looks different all the time depending on how low or high the tide is on that given day. For this shot to happen I needed a low tide and a perfect splash. Photo © copyright by Scott Papek.